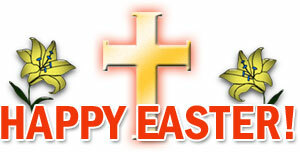 You may use our Happy Easter clipart and Easter animations on your personal, educational websites and school projects. 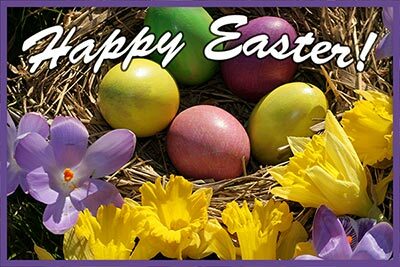 Bunnies, flowers, chicks, candy, crosses, wicker baskets and colored eggs. Do watchers from other galaxies think we are silly people or what? Country bunny with two colored eggs. Bunny having fun with an Easter egg. 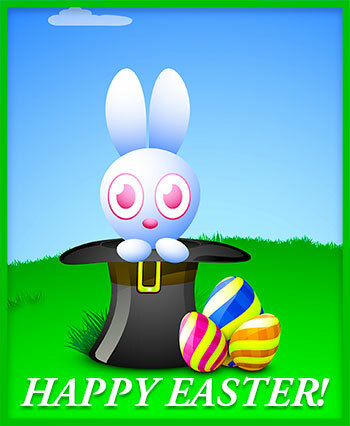 Have a Happy Easter with bunny, eggs and glitter animation. Happy Easter with Cross and Lilies. Cute bunny saying Happy Easter. 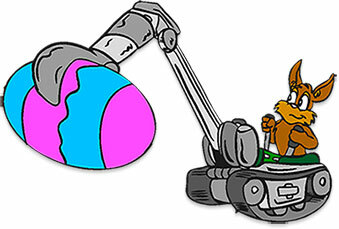 Animated chick with Easter egg. Happy Easter, painted eggs and the Easter Bunny. Happy Easter with eggs well hidden for the children. Well, maybe not that well hidden. 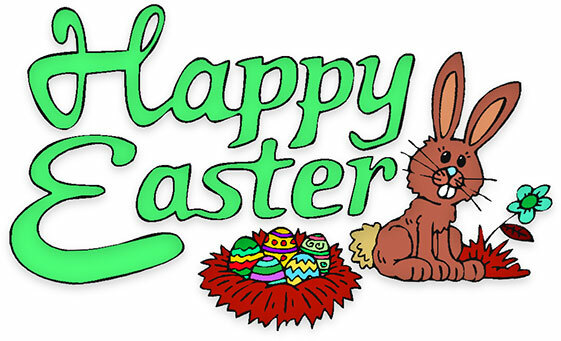 Happy Easter with bunny and animation. Happy Easter with The Easter Bunny and striped eggs. Easter bunny using specialized equipment to deliver eggs. Easter eggs with flowers, bunnies and butterflies animation. 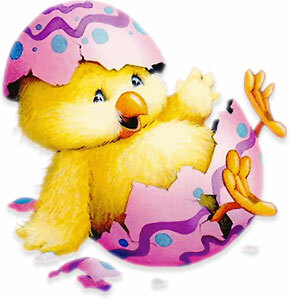 New chick from a colored egg - JPEG image. Easter Bunny collecting eggs with Happy Easter. Bunny in basket with large ribbon. Happy Easter bunny globe with flowers and animation. 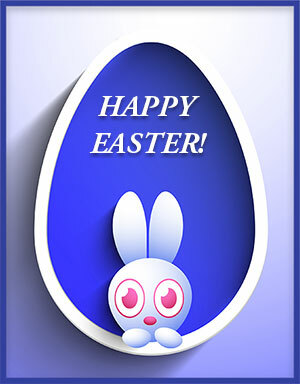 Cute Easter Bunny on blue egg design. Easter bunny with angel and animation. 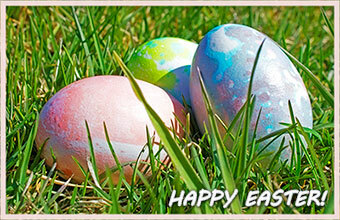 Happy Easter with flowers and brightly colored Easter eggs.